Police in Manchester, New Hampshire, arrested a man accused of a number of "nefarious" activities while behind the wheel on Tuesday. 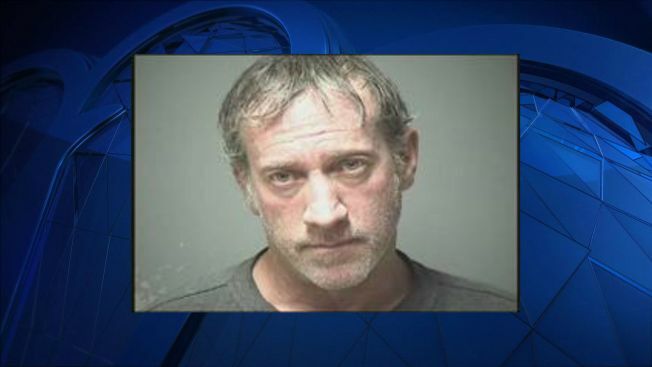 Michael Douville, 51, of Nashua, was allegedly smoking crack cocaine while his female passenger engaged in sexual acts as he was driving. Authorities say two detectives stopped Douville's vehicle at the intersection of Union and Valley streets while at a red light. The detectives walked up to Douville's car and ordered him to pull over; instead, he allegedly accelerated through a green light and briefly disappeared from the detectivess before he was found by another Manchester officer. Douville was stopped near Warsaw and Pine streets, where the female passenger ran away, but the Manchester officer was able to successfully arrest Douville, according to police. He's charged with lewdness, disobeying a police officer, reckless conduct and possession of a controlled drug. He appeared at Hillsborough County Superior Court-North on Wednesday. It's unclear if he has an attorney or if he has been released on bail.